The year was 1978, and teenagers everywhere were about to stare down the cold, blank face of fear. 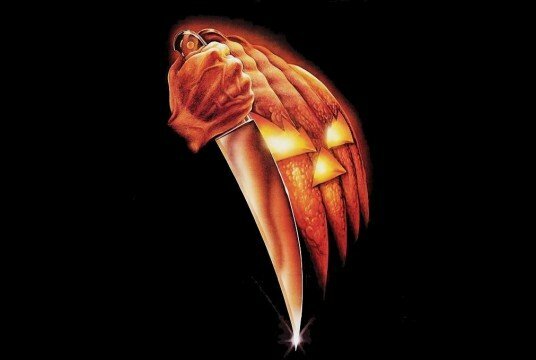 John Carpenter’s seminal slasher, Halloween, set the high water mark for minimalist horror, inspiring a spate of knockoffs in the following decades. The renowned cult auteur hasn’t touched the horror franchise since the bizarre Halloween III: Season of the Witch in 1983, but things are about to change, as the legendary director has signed on for a new Halloween entry. In a press conference held last night, Carpenter was announced as one of the executive producers along with rights-holder Miramax, low-budget horror-house Blumhouse and Malek Akkad’s Trancas (Akkad is the son of Halloween producer Moustapha Akkad). The multifaceted director may even score the upcoming reboot, as he did for a number of his prior films. We’re not being vague because we know and we’re not telling. We’re being vague because we don’t know. We’re talking about different things…I don’t think we want to make it too meta, you know what I mean? We want to make it like it was – back to the basics – and not get into too much backstory which we don’t need. It sounds like the remake may avoid the wink and nudge element common to many postmodern horror films. Like the original, the producers will also work on a smaller budget, something other Blumhouse productions like Paranormal Activity and The Purge are noted for. The Halloween reboot will also seek an up and coming director but one with an established track record. Halloween is one of those milestone films that inspired everyone at our company to get into the world of scary movies. The great Malek Akkad and John Carpenter have a special place in the hearts of all genre fans and we are so excited that Miramax brought us together. We cannot wait to find and collaborate with the right filmmaker to give Halloween fans the movie they deserve. We’re probably going to go back to the original traditions that we started with early on. It’s kind of gone astray a little bit. I thought maybe the remakes went off somewhere that I didn’t want ‘em to go. Michael Myers is not a character. He is a force of nature. He is not a person. He is part supernatural, part human. He’s like the wind. He’s an evil wind. When you start straying away from that and you get into explaining, you’re lost. So hopefully we can guide it back in that direction. A new Halloween film is good news for fans who feared the franchise had run its course. Carpenter’s involvement is also exciting, due to his work on the original film, as well as his credits as a horror maestro. With so little material left to mine from the franchise, though, it will be interesting to see what Carpenter and company come up with when the new movie is released next year.